– Raffle tickets will be sold throughout the tournament with various gift cards as prizes. $5 per raffle ticket. Funds raised will go towards our college scholarships for students who have lost a parent to substance abuse. 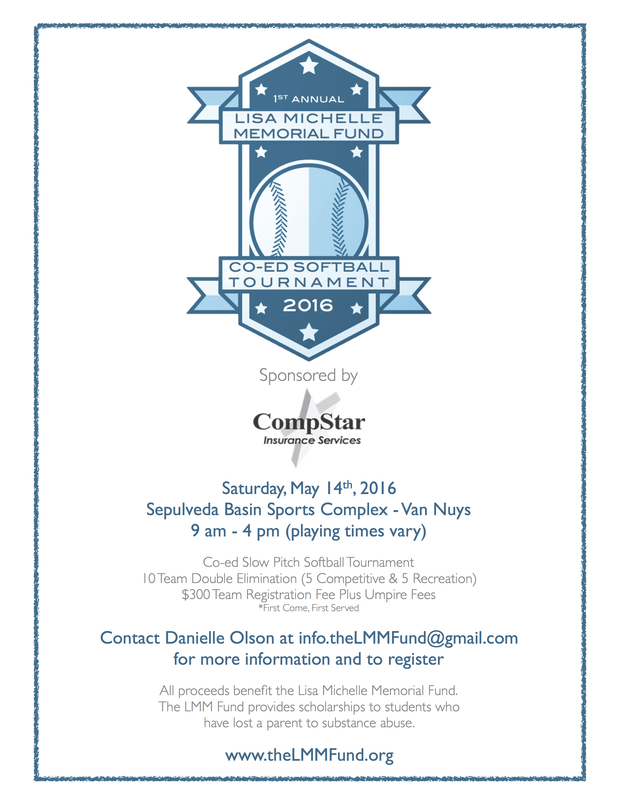 Even if you’re not playing we’d love for you to join us to support the cause and watch a few softball games.